Smart cities go by several names - flexcity, digital city, intelligent city, ubiquitous city amongst others. Still, it sounds like a utopian concept that is gradually forging its way into reality. Although smart cities have been associated with various definitions, we will for the purpose of this article stick to defining a smart city as an urban area that applies information and communication technology to manage the municipal resources and infrastructures more efficiently. With smart city technology, municipal authorities can get in touch with the community on a one on one basis and get feedback directly on how to improve the services offered by them. Thus, a smart city aims at simplifying and making the lives of its citizens better by relating technology with social amenities and services. Urban planners and developers have had different views on what a smart city should look like. However, there are still some key features that we cannot push aside, regardless of the view of the urban planner. One of such consistent feature is the use of ICT by these smart cities for a more productive application of the city infrastructures. Smart city technology is aimed at connecting the city authorities with residents and businesses such that the government can be able to get directly in touch with them without difficulty and get an idea on how best to serve them. Improvement of city ‘intelligence’ can also be made possible with smart cities as it allows for a more effective response in times when there is an urgent need to make adaptable changes. 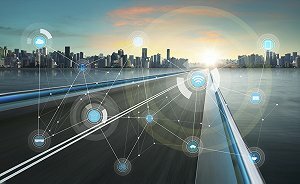 According to the President of Cisco and the CEO of the Internet of Things Consortium, Jean Beliveau, asides the need for more conventional technical jobs, more hybrid positions that make use of skills from more than one category needs to be created to meet up with the demands of a “smarter” city. A smart city creates a situation where technology intersects with the daily lives of citizens and day to day operations of businesses. IT infrastructure is what holds a smart city in place. Therefore, there is a need to hire more engineers, data scientists, network programmers, platform developers amongst other job designation. In a more recent article, a job designation known as Industrial Network Engineer was listed as one of the hybrid positions that needed to be created. The author’s thought was that conventional technical jobs with only knowledge and skills in their field might not be considered as ideal for a smart city. Thus, they need to have developed skills from fields outside the scope of their expertise. An Industrial Network Engineer is a professional who designs and maintains technology systems that connect manufacturers and plants with the supply chain network such that information can be shared freely in the supply chain. A smart city is not a vague idea as could be seen with the cases of Barcelona, Milton Keynes, and Amsterdam amongst others and there are still challenges faced in its development from a technological viewpoint. These challenges may range from supporting light-weight Artificial Intelligence on IoT (Internet of things) to challenges associated with Big Data. Engineering solutions are necessary for facing head-on these challenges. Therefore, engineering and its recruitment are fundamental to both the actualisation and sustenance of a smart city – because, in truth, a lot of engineering goes into the designing, operating and managing a smart city.